Most people in Saranggani view education as a privilege, as most cannot afford to send their children to school. Out of the total population of school-age children, almost half do not attend school. Secondary school is too expensive, and there is a dramatic drop in enrolment as children work instead to help their families. Children living in remote areas of the community, especially the indigenous population, are discouraged by their families from attending school, as they fear for their children's safety. Parents and children generally lack interest in education, and since families often migrate in search of work, the distance between home and school can become problematic for many students. The general quality of education is poor. Government funding cannot meet the needs of the quickly growing population. There aren't enough classrooms or equipment, such as tables, chairs, and textbooks. Many competent, qualified teachers are not willing to work in the remote area, and those who do find themselves deprived of opportunities to learn new, alternative teaching methods because of shortages in funding. Poverty is the direct cause of many families poor health in Saranggani. Parents struggle to provide enough food for their families, and a day out of work would mean a day without food on the table. As a result, parents prefer to work on a daily basis than to attend health trainings. Although the province has exerted much effort to provide basic health care services to the community, they are hindered by a lack of resources. Health care professionals and personnel are in short supply, and facilities are often poor. Maternal and child health care services are lacking, and many families do not have access to health education that could give them a first line of defense against sickness in their own homes. Despite the fact that Saranggani is an agricultural region, families suffer from inadequate food consumption and poor nutrition. Many parents lack knowledge about proper nutrition and proper food preparation practices. There is also a lack of knowledge about and awareness of the importance of personal hygiene and sanitation as a means of waterborne disease prevention. Unsafe drinking water and unsanitary latrines further complicate the issue. Saranggani's economy is mainly dependent on farming and fishing. However, most agriculturalists do not make enough to meet their family's needs. Although there are vast stretches of land, due to the lack of support of farm facilities and a lack of knowledge and skills, farms are not productive. Diversification of income is also limited. Though farm products such as coconut, rice, and corn are leading in production and distribution in neighbouring areas, there are no roads leading from farms to markets. For farmers who experience frequent droughts and other challenges, they are tempted to sell their lands and turn to fishing and or microenterprise. However, marine resources in Saranggani are being depleted by waste that is dumped by industries in neighbouring cities and provinces. The first to feel the impact of this unfortunate situation are the fishermen living along the coast of Saranggani. Families also lack of access to income-generating activities, capital input, and skills training that would augment family income. Saranggani's community is making strong progress toward caring for all its children, not just those who are sponsored. Together with other Canadians, you’ve played an important part in helping Saranggani get there. Thank you! With the help of your generous and loving support, life in Saranggani has transformed. Children and families are much stronger now. The community has met its goals, and its members are working together to tackles new ones. Your support will have a lasting impact for years to come. The Saranggani community is located in the Sarangani province, at the southernmost tip of the Philippines. It is bounded on the South by Sarangani Bay and the Celebes Sea. Sarangani is a typhoon free province and is characterized by rainfall that is evenly distributed throughout the year. The average annual temperature is 27℃ . The hottest month is April, during which temperatures reach nearly 34℃. The coldest month is January. It takes approximately 1.5 hours to travel to the Saranggani community from Manila by plane. The region is comprised mostly agricultural land, and the major sources of income are fishing and farming. The area is highly at risk to El Nino-induced droughts, is susceptible to landslide hazards, and is prone to flash floods and tidal waves. Thanks to the generosity of Canadian sponsors like you, life in Saranggani has improved. Your support will have a lasting impact for years to come. Let’s celebrate these accomplishments! 500 pregnant mothers from remote areas have had temporary housing while waiting to deliver, ensuring they have access to essential health services. Over 350 college students received support for tuition. 132 students who haven’t gone to college received government scholarships to take courses in skills like baking, housekeeping, computers and auto maintenance. 42 schools received learning materials, supporting children in their reading and comprehension. 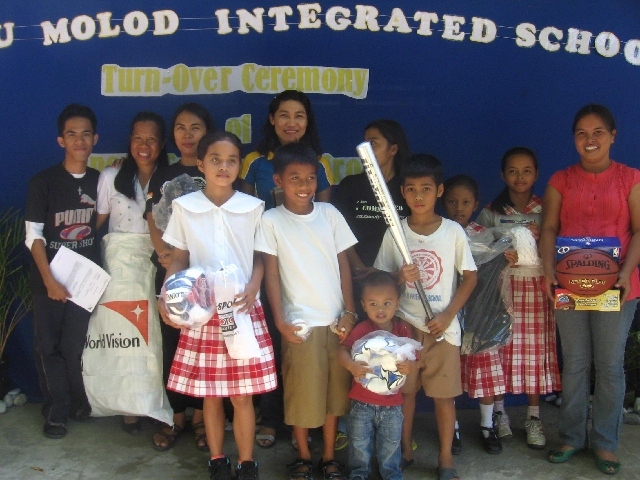 2,860 children received hygiene kits and learned proper handwashing habits. 6 tuberculosis task forces are helping identify and refer cases of TB to health units for treatment. 66 families are now earning income through organic farming. Previously unused land has been planted with banana trees, bringing extra income for 316 families. 90 families have had training in technical skills including hairdressing and lighting installation. 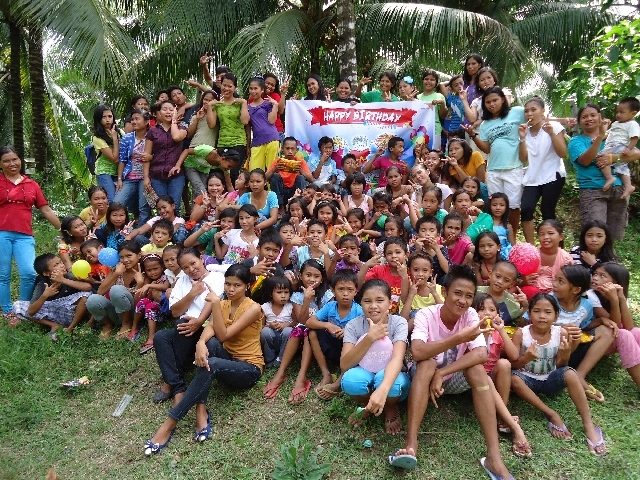 942 families received training in small business ventures like making banana chips, handicrafts and laundry detergent. Children receive quality teaching in improved facilities. Dropout rates have decreased to 5%. Families have access to better health services and safe water prevents unnecessary illnesses. Access to credit and new ways of earning income mean parents can provide for their children. 2,907 people have access to small loans through savings groups and 942 families received small business training. Fishing families have increased their income by $11 per day during peak season with new gear. 5 water reservoirs are giving safe drinking water to 500 families. 809 struggling families received support getting health insurance and 80 malnourished children were rehabilitated in nutrition workshops. Provide teachers with improved training and opportunities to expand their creativity and versatility in teaching to meet children's needs. Establish additional school facilities to help children become comfortable in school and improve their academic performance. Teach parents and children about the value of education. Encourage parents to take part in their children's education. Increase community members awareness of children's rights, protection, and welfare, including the right to an education. Provide improved access to community-based health care services for mothers and children, as well as primary care for other community members. Improve the nutrition of pregnant women and children under the age of five through nutrition education programs. Improve family hygiene and sanitation practices to help decrease the incidence of waterborne disease. Provide improved access to safe drinking water. Increase farming families harvests and income through training in eco-friendly farming methods and practices. Teach farmers about environmentally friendly fishing practices that will help increase catches and help to preserve and protect marine resources. Increase access to capital for small businesses through microenterprise development. Improve families abilities to generate savings and investment through community-based savings and credit mechanisms.